How to install my CPAC Certificate? How to create the .well-known folder? How CPAC SSL Certificates ensure user two-factor authentication? How CPAC SSL Certificates digitally sign your documents? How CPAC SSL Certificates secure and encrypt your email communications? What CPAC SSL Certificate to choose – Basic, Pro, or Enterprise? Yes, absolutely. The Multi-Domain (UCC/SAN) SSL Certificate allows you to secure multiple domains or subdomains which are hosted either on one IP address or different IP addresses. This SSL Certificate type was particularly designed to secure multiple websites within one single SSL Certificate as an easy-to-use and cost-effective solution. 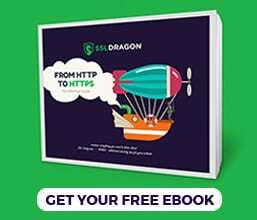 Why SSL Dragon’s prices are cheaper than Comodo (Sectigo), Thawte, etc.? How to configure an SSL Certificate? Where can I get a site seal? Can I change the domain in my SSL Certificate? Can I change the company that my SSL Certificate is issued to? Where can I find root and intermediate certificates for Comodo (Sectigo)? 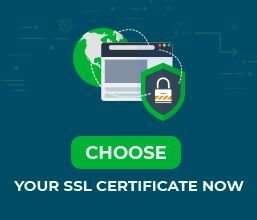 What happens if I don’t renew my SSL Certificate? How do I find the date when my SSL Certificate expires? How to convert my SSL Certificate into a different format? Where can I download my SSL Certificate from? What are SSL installation best practices? You can find detailed documentation about the SSL Certificates' best installation practices at SSL Labs. I installed the SSL Certificate. Why does my site continue to show as insecure? When you configure your Comodo/Sectigo Code Signing Certificate as an individual, you need to enter your first and last name in the "Company Name" field. This will tell Comodo/Sectigo that you are requesting a Code Signing Certificate for an individual instead of a company. I have the CSR. What’s next? What information does the CSR contain? The CSR contains the following encrypted information: your country, state, city/town, name of the organization, department from your organization, the domain name that you want the SSL Certificate to be issued for, and the email address where your CSR code and the Private Key will be sent to once they are both generated. Why do I need a CSR? You need a CSR in order to apply for an SSL Certificate. Later, when your SSL Certificate is issued to you, then you will also use the CSR code for the activation of the TLS (Transport Layer Security). The validation process is completed by the SSL provider, also called Certificate Authority (CA). The CA will contact you during the validation process to confirm that you are indeed the owner of the domain. The certificate you purchase from SSLDragon will be validated by one of following CA: Symantec, GeoTrust, Thawte, Comodo (now Sectigo), RapidSSL. Encryption strength is the size of the keys used to perform the encryption of data during an SSL session. The longer keys provide stronger encryption and make it difficult for computers to break the code. All our SSL certificates support up to 256-bit encryption, as it is strongly recommended by the industry experts. An SSL certificate warranty is insurance which covers any damage that you may incur as a result of a data breach or hack that was caused due to a flaw in the certificate. The SSL warranties range in value from $5,000 to $1,500,000. This means that the higher value certificates come with more extensive warranties. How does the SSL Certificate work?